What is the Difference Between Medicare and Medicaid in North Carolina? The differences between Medicare and Medicaid are confusing and complex. And this is coming from an estate planning attorney that has been dealing with these benefit programs for many years. At their core, both programs were developed to assist individuals who are unable to afford to pay for healthcare insurance on their own, either because they were too old (and thus their premiums were too expensive), or they didn’t earn enough money. Both Medicare and Medicaid were signed into law in 1965 as part of Lyndon Johnson’s “Great Society” vision to provide social justice to all Americans. Medicare is a program run by the Federal Government that provides health insurance coverage if you are age 65 or older, are under age 65 but have a disability that allows you to receive Social Security Disability Insurance Benefits (SSDI), or have end-stage renal disease. Medicaid is a program run by the States, and as such, the eligibility rules will vary depending on which state you live in. In general, Medicaid provides health insurance to low-income individuals who would not otherwise be able to afford health insurance on their own. So in essence, Medicare is administered by the Federal Government to ensure that the elderly have access to health insurance, while Medicaid is a state-run program that provides health insurance to low-income individuals, families, and children. If you are thinking about applying for Medicaid in North Carolina, here is a link to the North Carolina Medicaid Manual, which includes all the regulations and guidelines you will need to review, and was the source for most of the information in this post. What’s the Bottom Line on Medicaid and Medicare? 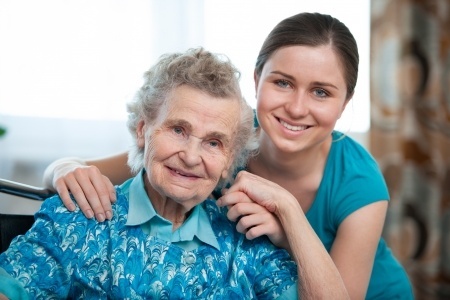 In terms of estate planning, Medicaid is frequently used to assist individuals with paying for nursing home care. But there is one big, glaring problem with this. If you want Medicaid to pay for your nursing home bill, you must be eligible for Medicaid. Alternatively, many people use Long Term Care Insurance to assist in the transition to a nursing facility. I will be discussing long-term care insurance in a future post. The value of your home, car, home furnishings, jewelry, and clothing are not counted towards your financial resources. However, if you or your loved one passes away in a long-term care facility while Medicaid is paying the bill, then Medicaid will have a lien against their estate. This means that after you die, Medicaid can force your heirs to sell your house to pay off the lien. Here’s the big thing you need to know. If you think you or someone you love may need to go into a long-term care facility, then it is vitally important that you understand the importance of early planning. You can’t simply go to an elder law attorney a week before you enter a nursing home and expect that we can protect your assets, or get you immediately qualified for Medicaid. The rules here are complex, and we highly recommend you contact an elder law attorney if you have questions about how and when you or your loved one should apply for Medicaid. In North Carolina, there is a five-year look back period for the transfer or gifting of assets for purposes of qualifying for Medicaid. If you transfer assets within that five-year look back period, then you are subjected to a penalty. The penalty is equivalent to the amount of assets transferred divided by $6,300. Example: If the applicant for Medicaid transferred to another person or trust assets totaling $350,000, then they would be ineligible for Medicaid for 55.56 months ($350,000 / $6,300 = 55.56) beginning when the applicant is both financially qualified and has been admitted to a long-term care facility. So basically, the applicant is ineligible for Medicaid one additional month for every $6,300 transferred within five years of applying for Medicaid. Transfers to a trust for the benefit of an unrelated disabled (as determined by SSA) individual under the age of 65. A “caretaker child” who resided in the home and cared for the applicant for at least two years prior to the applicant entering the nursing facility. If the applicant for Medicaid has a probate estate when they die, the State of North Carolina has a right to recover the benefits it paid for the Medicaid recipient upon their death. In most situations, the only asset available to the State is the applicant’s home, so long as it remains in the probate estate. Recall that property owned as a tenancy by the entirety or as joint tenants with right of survivorship will not be included in the probate estate, and as such cannot be used to pay back the state. There are a number of exceptions if a hardship can be shown, and the state will sometimes forego estate recovery if and when the deceased is survived by a minor or disabled child or a spouse. If you find yourself in a situation where the state may be attempting to recover from your loved one’s estate, we recommend you contact an attorney for assistance. Many older individuals who may need to go into nursing home care have sizable fixed incomes in the form of pensions, retirement benefits, workers compensation, and other income streams. Here is what you need to know for Medicaid Eligibility. If the applicant’s countable income exceeds the private pay rate of the facility they want to enter, they are ineligible for Medicaid. When the applicant does become eligible for Medicaid, all of their income, less certain deductions such as a $30 per month personal needs allowance, deduction for uncovered medical costs, and payments to a spouse that continues to live in the marital home, must be paid to the nursing home. As you can see, this simple rule provides a myriad of estate planning opportunities for the astute individual. In looking at income, Medicaid will only consider the income of the applicant, and not that of the non-institutionalized spouse. However, if you are a community spouse (i.e. married to the applicant for benefits), then you have certain rights. If your own income does not meet certain minimum thresholds, you may receive income from your spouse who is entering the nursing facility. The amount that you can receive is adjusted annually, each July. As of July 2016, the monthly maintenance needs allowance (or MMNA) is $2,003. In addition, you may also receive a shelter allowance for every dollar that your housing costs (including your mortgage, taxes, insurance, etc.) exceed $601 per month, up to a maximum of $977.50. In other words, a spouse with no income resources of their own could retain as much as $2,980.50 in monthly income from their applicant spouse. In certain situations, there may be other legal strategies that can be used to receive more income from an applicant spouse, but these should be discussed with an elder care attorney. Well, this post focused mostly on Medicaid as it pertains to assisting with the payment of long-term nursing care expenses in North Carolina. The biggest takeaway here is that you should consult with an estate planning attorney early on in the process to make sure you don’t get any expensive “surprises” when you are ready to apply for Medicaid benefits. 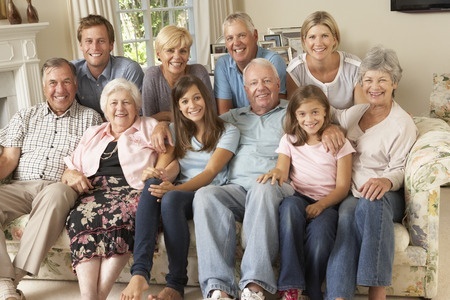 Here at The Hart Law Firm, we can help you to navigate the minefield of medicare and Medicaid planning. If you have questions and would like to talk to an estate planning attorney about your options, please feel free to give us a call at (919) 883-4861 or fill out our online contact form to schedule a no-cost wealth planning session ($350 value). Previous Post: « Personal Representative vs. 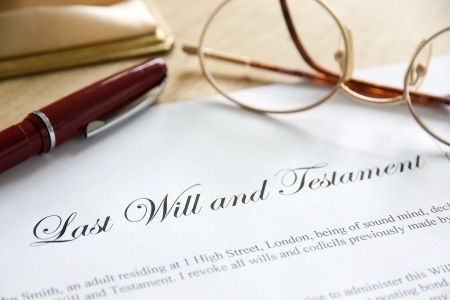 Executor – What’s the Deal?